You may have noticed that I have been avoiding blue when it comes to dressing Finn, and I have had so much fun finding him bright, colourful and most importantly comfy clothing. 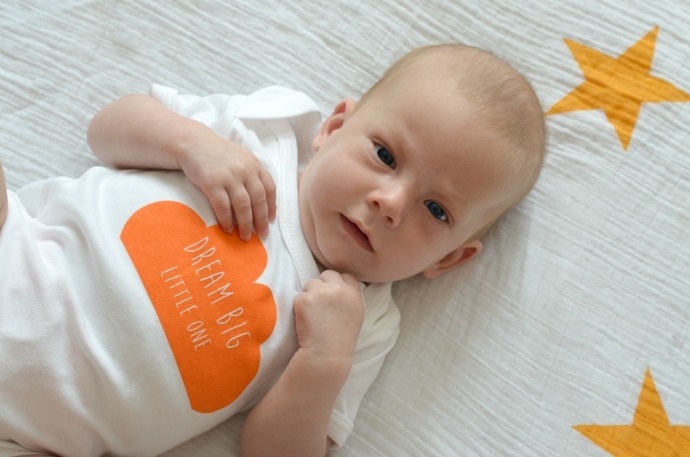 We are Scamp are a company that make beautiful laser cut gifts (which you will see more of when I eventually put up Finn's nursery tour), and they also have a small selection of beautiful screen printed babygrows. These trousers are custom made by Robosaurus Rumps on facebook - I love fun trousers as they keep Finn's legs covered from the sun in the sling, but are light enough for the summer. I can't resist a yawning baby picture too . . . I never used to dress my other two in just a vest and trousers, but when you have one this cute, it seems wrong to cover it up! What fun vests and you're right it is a shame to cover them up. Oh what a gorgeous outfit - and when you have vests like that it's practically a t-shirt - plus if it keeps being as hot as it has been recently Pip at least will be spending quite a bit of the summer in a vest and shorts! I love how bright and colourful these are. I always used to dress my son in brights when he was a baby! Oh how lovely are the clothes? And Finn looks adorable! 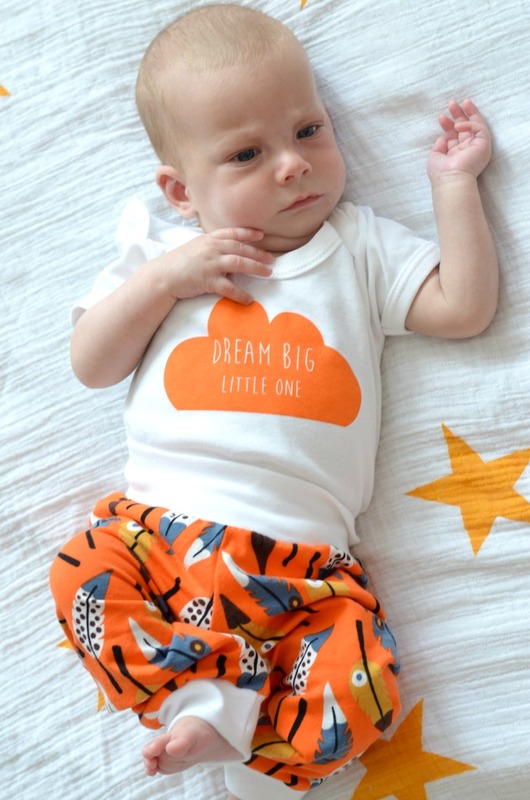 Loving those trousers - I really like to dress my (somewhat older) son in bright colours too. Those are so BEAUTIFUL and suit Finny so well! Too cute, love the patterned trousers! what a cutie . I love his vest cool kid ! 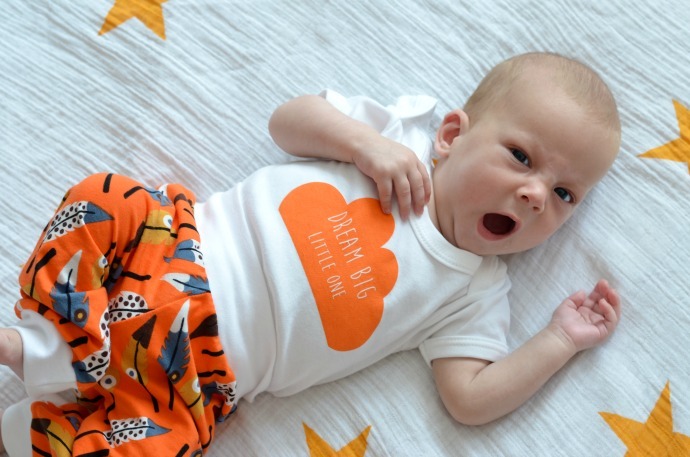 I love a baby in a babygrow - and you are right - these are too cute to cover up!! How cute and simply adorable. Lovely outfit but the baby is soooo sweet.